America has had many heroes when it comes to justice. These two were both African American and belonged to different faiths; one was Christian, the other Muslim. They brought change in our political and cultural environment with the conviction of their faith. Their differences were unique, much beyond faith. Martin Luther King Jr. MLK was raised in a middle class, working family. He received an education, a sociology degree from Morehouse College, and didn’t really experience social shock till he was about 20, says Rev. Lewis Baldwin, a historian and authority on King. 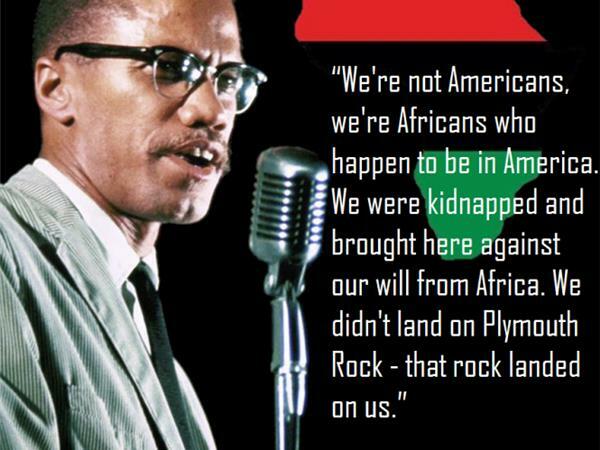 Malcolm X was raised in Detroit, shuffled through foster homes, hustled in the streets, and ended up in prison. Both spoke for justice and equality, both were silenced because of their preaching. Humans do tend to sanitize the image of a figure to be more appealing. By sanitizing, I mean we alter whatever details we can of the figure, as to be accepted by the ruling governments and institutes. 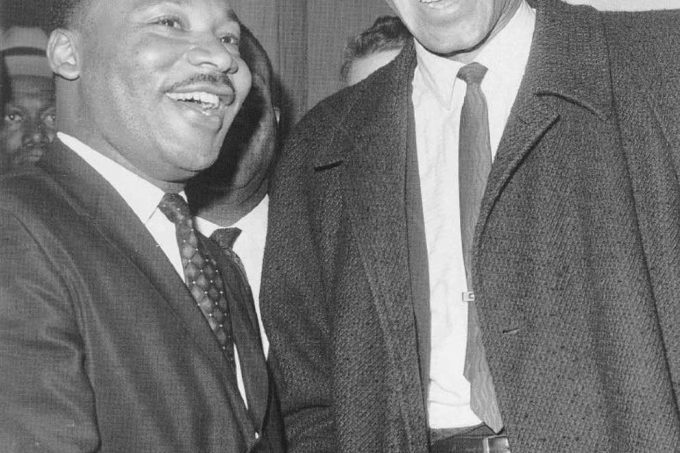 MLK Day converted a black radical to an American icon. 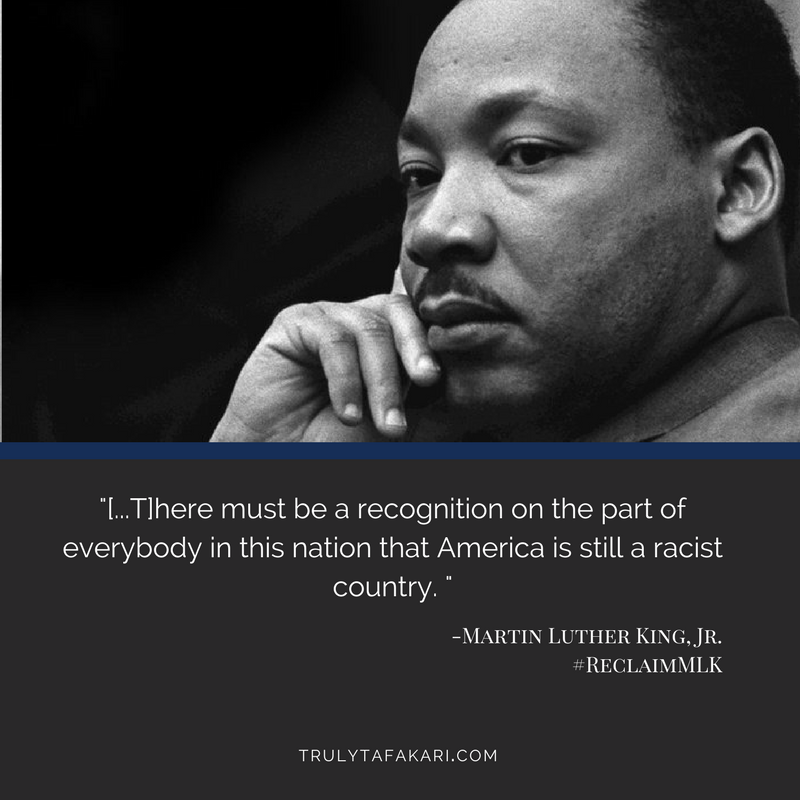 Americans don’t celebrate him or the cause, we celebrate ourselves for “overcoming racism” and fulfilling the dream. I personally think that given the current state of political strife, exploitation of the poor, and a destructive desire of materialism, MLK would have been enraged. Like most of our social reformers, he had to be sanitized to be accepted by the public after his death. The people that accepted King’s work today, were the same people that rejected him in the 60’s. They modified his original work so it could be tolerated. We froze in time the“ I have a dream..” speech. While ignoring the fact that after the Selma march and the riots at Watts, MLK was quoted saying “they have turned my dream into a nightmare…” King would tell an interviewer that the dream he had that day had in some ways “turned into a nightmare.” But that’s exactly what he said to veteran NBC News reporter, Sander Vanocur, on May 8, 1967. MLK and Malcolm X both fought for justice, yet one is celebrated and one is barely mentioned in school textbooks. They both were adherents to their religion, and Malcolm knew there was no compromise in his faith. O you who believe, be persistently standing firm in justice as witnesses for Allah, even if it be against yourselves or parents and relatives. Whether one is rich or poor, Allah is more worthy of both. Follow not your desires, lest you not be just. If you distort your testimony or refuse to give it, then Allah is aware of what you do. This verse shows that the disbelief of the unbeliever does not prevent him from enjoying justice. Malcolm X traveled to Saudi Arabia, Northern Africa, and West Africa and saw that equality was very possible. The diversity and the spread of brotherhood amongst each other, was something he didn’t see back home. 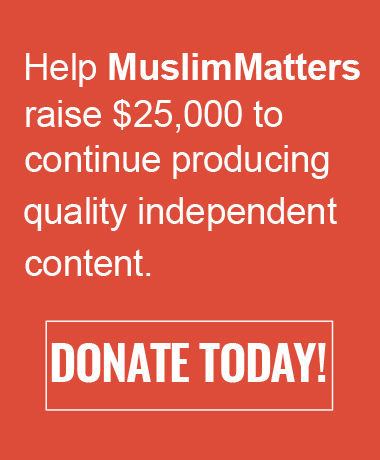 Upon accepting true Islam, Malcolm X had become a great influence on MLK. Malcolm X was assassinated in 1965; MLK was also assassinated a few years later. They spoke, people listened, and both were then silenced. Justice and equality was a threat to the ruling class. These two, powered by their faith, made amazing changes, from changing the African American mindset to promoting self-love to providing rights African Americans never had before such as voting and desegregation. The I have a dream speech was given in 1963, 5 years before his assassination. American culture froze MLK at that speech, but what happened in those 5 years? MLK began seeing what Malcolm X saw, and began leaning to his ideology. That politically they may have accomplished great things (providing rights by hanging laws), but culturally there is still a lot of work to be done. King later came to appreciate X’s view and insights. Especially after the Watts Rebellion in LA. King later adopted X’s language of the ghetto, a “ system of internal colonization”. King said, “The purpose of the slum is to confine those who have no power and perpetuate powerlessness.” The slum is a little more than a domestic colony which leaves its inhabitants dominated politically, exploited economically, segregated and humiliated at every turn. There’s a side that liberals that promote Martin Luther King Jr. don’t want you see, it is the side that denounced them. “ We must face the appalling fact that we have been betrayed by both the Democratic and Republican parties.” Martin Luther King Jr said. Before his assassination Martin Luther King Jr. left the Democratic party, as he realized that to attain justice we need to uplift our culture, not our laws. It is not a coincidence that prisons and the urban ghetto are populated with people of color. It is a calculated strategy by the liberal class to avoid a unified culture amongst African Americans. Had X and MLK not been assassinated, we may have reached new heights in civil rights and cultural environment. Neither hero sold out, played politics, or compromised their belief. Had they been alive today, both MLK and Malcolm X would have been pariahs and victims of the liberal class like Noam Chomsky, Chris Hedges, Ralph Nader, or Dr. Norman Finkelstein. A a human being that co-inhabits the same space as others, we should ask ourselves every day, “is it right?” Be you an activist, a student, or a parent. Do what you can, research what you are doing. We sometimes believe we are doing good because our intention is pure. Unintentionally we may be undoing the good. “The dead person is followed (to his grave) by three: His family, his wealth and his actions. Two of them return and only one remains. His family and wealth return, but his actions remain.”[Related by Al-Bukhari and Muslim]. Another skill Malcolm X and Martin Luther King Jr. had that we can develop ourselves is looking at issues comprehensively instead of in isolation. We see the labor movement in one direction, the anti-immigration another, the environmental headed elsewhere, and so on. Little do we know how much they overlap, but real activists see this, “ The problem of racism, the problem of economic exploitation, and the problem of war are all tied together. These are the triple evils that are interrelated.” Martin Luther King Jr. 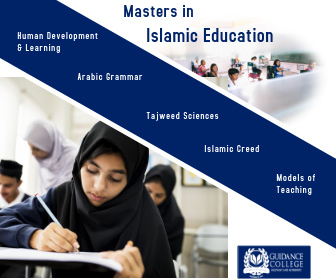 This comes through genuine understanding, it is part of Islam as well, we should train ourselves through critical thinking and skepticism to take a comprehensive outlook on things and realize when you are fighting for justice; all causes play a role to enhance and prosper the welfare of your fellow brothers and sisters. Malcolm X once said, “ We need more light about each other. Light creates understanding, understanding creates love, love creates patience, and patience creates unity.” These are all characteristics that describe Islam. From light to unity. Finally, the best advice I could give is not from me, but the words of Allah , and that is to not compromise your deen when seeking justice, or for the sake of justice. Great way to link up both iconic figures by showing they were not mutually exclusive. “Triple threat of evils” is even more relevant today than fifty years ago. Next Next post: Will Arming Black and Muslim Civilians lead to Tougher Gun Control Laws?